I recently learned that the average age of first-time hearing aid wearers is around 70. I’m a good deal younger than that, so how did I get here? While it’s impossible to know the exact cause, I blame most of my hearing loss on the insanely loud concerts I went to in my younger years. I also blame the noisy car I drove. The exhaust headers were so loud that I had to blast the radio just to hear the music over the sound of the car. The problem with noise-induced hearing loss is that the damage is often done when you’re young and seemingly indestructible. By the time you realize what you’ve done, it’s too late. The only way to avoid permanent noise-induced hearing loss is to limit your exposure to excessively loud sounds, and to use sensible hearing protection when loud noise is unavoidable. Hearing loss creeps up on you. At first, you might notice a little more difficulty hearing in loud restaurants and other social settings. If your hearing loss progresses, you’ll eventually struggle to hear people clearly in everyday conversation. You’ll start asking people to repeat themselves more often, and you might start to blame poor room acoustics, or even accuse people of mumbling. Eventually, you’ll need to come to terms with the problem and accept that your hearing isn’t what it used to be. Even then, you’ll probably try to avoid doing anything about it (like I did) until your friends and family discuss it with you (or perhaps even complain). Why do people delay addressing their hearing loss? For my own part, I think I was just delaying the process of dealing with it. “I’m busy. I’m traveling. I just can’t fit it in just now. I’ll get going on it after our vacation.” Literally years went by this way. I couldn’t find the motivation to get my hearing checked. And this from a distance runner. Because I travel for work, I typically train for a race on three continents. Four AM wake-ups are not uncommon, and I’ve set the alarm for 3:30 multiple times to get my mileage in before work. I even split up a long run between Europe and America on the same day. Twice. And yet, I couldn’t find the time to address my hearing. Pathetic! I finally decided to do something about my problem. First, I had to get a proper hearing check. I began by scheduling an appointment with a local ear, nose, and throat (ENT) doctor. I did my homework by talking to some friends who had consulted an ENT and some who worked locally in the medical field. Most pointed to one person as being first-rate. I scheduled an appointment with him. With no indication of a medical condition needing treatment, he referred me to the on-staff audiologist for a thorough hearing test. The audiogram confirmed that I had a hearing loss, effectively telling me what I already knew. After finally making the decision to deal with my hearing loss, my next big decision was what type of product to purchase. Because I work for Knowles, a company that manufactures speakers (“receivers”) and microphones for consumer-grade earphones and hearing aids, I am very familiar with the spectrum of devices available to assist those suffering from hearing difficulties. 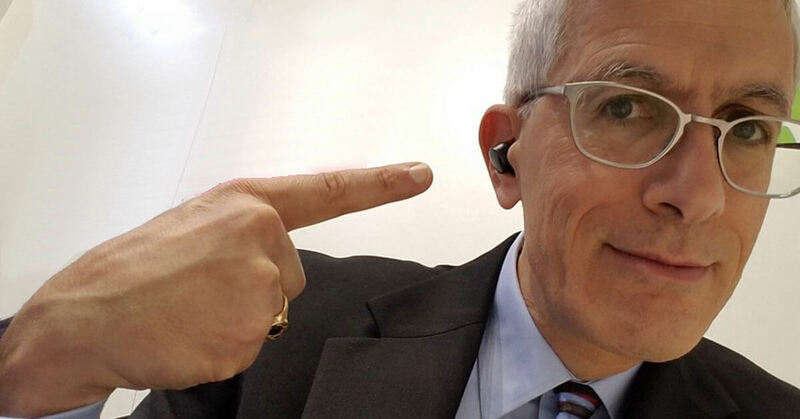 The three primary categories of products I considered were 1) hearing aids, 2) personal sound amplification products (PSAPs), and 3) hearables. My first choice was to decide which type of device to purchase. There’s also the battery life issue with hearables. I need robust hearing assistance full-time, but no compact hearable can yet deliver 18 hours battery life. And then there’s the comfort issue. Hearables are fine to wear for a few hours, but for all-day comfort, nothing beats a modern hearing aid. Unfortunately, hearing aids do cost more, but I am fortunate in that I can make the investment. Had that not been the case, I might have gone the other way. After deciding to purchase hearing aids, I started doing my homework. I wanted to get a good handle on exactly what I needed – and wanted – from hearing aids. In addition to general hearing aid functionality, hands-free phone call support and stereo music streaming seemed like must-haves; so did rechargeable batteries. OK, having rechargeable batteries wasn’t strictly necessary, but I really didn’t want to fiddle around with tiny button batteries. I also wanted to limit my negative environmental impact. With more and more rechargeable hearing aid options on the market, finding decent rechargeable hearing aids wasn’t difficult. Finding good music streaming and phone-call handling proved a little more difficult, mostly due to my preference for Android over iOS. While Apple did a great service by creating their Made For iPhone (MFi) platform for hearing aids, that didn’t really help me. Had my hearing journey started sooner, I may have just abandoned my Android phone for an iPhone. As it happens, a device that checks all my boxes just came on the market – the Phonak Marvel. Stereo audio streaming with Bluetooth Classic meant I could listen to music and other media from almost any Bluetooth-enabled device. I’m on the phone a lot, so hearing the person on the other end of the line in both ears seemed like a big plus. So too did the hands-free calling option. Prior to Marvel, there were literally zero options for hands-free calling (for any smartphone) without the added requirement of an intermediary accessory to pick up the hearing aid user’s voice. For serious music listening I’ll probably stick with my headphones, but even so, Marvel seemed like the device for me. The beauty of today’s technology is that there are a number of excellent devices available depending your specific hearing loss, desired feature set, and budget. I told my audiologist about my preference to try the Marvel hearing aids, and as luck would have it, she thought I was a good audiological candidate for the devices. I was reassured when I learned that she had a lot of experience fitting Phonak hearing aids. I decided to stick with her, mostly due to her experience with Phonak, but also due to the reputation of the ENT’s practice. I scheduled the follow-up appointment to have the new hearing aids fitted. Now that my journey has begun, if there’s one thing I would say to others, it’s “Just do it.” I don’t even have my hearing aids yet, but I’m already getting excited for what’s coming. The other day, I was at a funeral service for a friend. A number of her family members spoke quite eloquently, but I was far enough back that I struggled to hear them. I was thinking to myself “Another week and I won’t have to put up with this anymore!” I’m also looking forward to test-driving them at our favorite Mexican restaurant and tequila bar, where I can never hear everyone at the table. As I was leaving the doctor’s office, a funny thought crossed my mind. Taking out and putting on headphones is a deliberate act, but with my hearing aids on, I can fire up the music whenever I want and nobody will notice. Stigma? What stigma? These things are going to rock! Disclaimer: I work for a company that supplies multiple industries, including the hearing healthcare industry, with hardware. However, I am not personally involved in my company’s relationships with any hearing aid manufacturer. All views and opinions expressed in this article are my own and based on my own experiences. Andrew is a new hearing aid user who currently works as Dir. 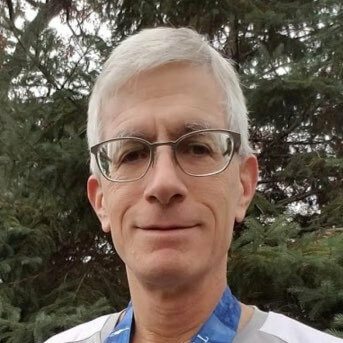 of Market Development for Knowles Corp. Andy hopes that by sharing his story he can influence others to protect their hearing, and to make it easier for those with untreated hearing loss to accept their condition and seek care without waiting as long as he did. Connect with him on LinkedIn and Twitter.